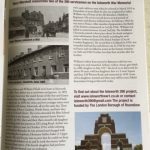 Read the Armistice Centenary 2018 newsletter here. 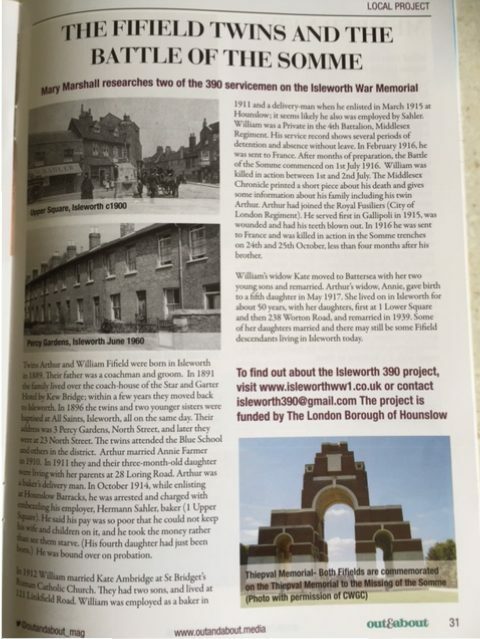 The Isleworth 390 Project News. See a film about the isleworth 390 project. Pupils from St Mary’s Catholic Primary School in South Street Isleworth reflected on the servicemen that they had represented at the Remembrance Sunday event. War poems and diaries St Marys. “The Fifield Twins” article published in Out and About Magazine, August 2016.